Are you looking for gutter installation in NJ? North American Pfister has over 40 years of experience in gutter installation in NJ. Our roofing contractors install downspouts, gutters and accessories for residential and commercial buildings. We always make it a point to use the highest quality gutter products. We are certified in gutter installations throughout New Jersey. For gutter installation in NJ, we can handle a job of any size: whether you need a complete gutter system set up, or just a small square inch of gutter placed above your door, we can handle it. We offer a wide variety of products from top brands, such as Leaf-Guard, RainPro, Standard Gutter, Copper Gutters, and MicroGuard Gutter, for gutter installations in NJ. We specialize in clog free gutter installation in NJ, which guarantees clog-free gutters! It is also North America's number one choice for one piece gutter protection. 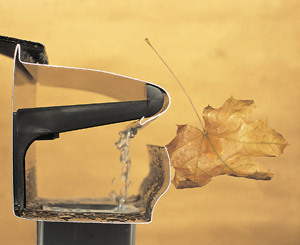 clog free gutter is a one-piece seamless, covered gutter system. It will never come loss or pull away from the house like most other gutters tend to. It is positioned at the perfect angle for optimum water intake each time. We also install Leaf-Guard without nails or spikes, so that the wood and shingles on your property never get damaged. Only Leaf-Guard products come with a lifetime limited no-clog warranty and lifetime finish warranty. Due to the unique design of RainPro, rain water will be efficiently channeled, allowing for maximum water flow. Standard and copper gutter installation in NJ will enhance the look and value of your home. 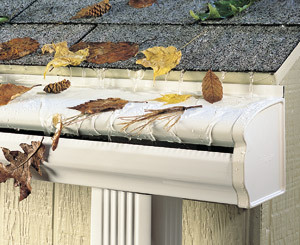 Lastly, MicroGuard is specifically designed to keep small twigs, pine needles and debris from clogging up the gutters. Gutter installation is a very important component in keeping your house in proper condition and prepared for anytime of weather. When you are in need of gutter installation in NJ, look no further than North American Pfister. For more information and a free gutter installation estimate, call us at (201) 794-1422. North American Pfister - Your trusted source forgutter installation in NJ.